Dustin Lehman, MS, LCPC is a licensed therapist who specializes in providing therapy for couples, individuals, children and groups. Over the past couple of years, Dustin has been accruing hours for licensure as a Clinical Professional Counselor and Marriage and Family Therapist under the supervision and guidance of Dr. Bob Bakko, LCPC of Northwest Counseling Center, LLC in Billings, Montana. Dr. Bakko has been in practice for 38 years and is a valued mentor. 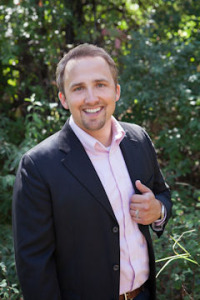 Dustin has also done pro bono work at Faith Chapel, in the Pastoral Care department in Billings, providing a variety of services including psychological assessments, individual and family therapy and lay counselor training. Dustin integrates his knowledge as a mental health practitioner and his experiences as a teacher and mentor to create a safe and supportive environment for therapy. Dustin has become a partner at Northwest Counseling Center, LLC, working alongside several, seasoned therapists. Dustin co-leads Women’s Anger Management – “Living Without Violence for Women” as well as, process and support groups for teens and adults. Dustin is currently developing workshop seminars for married couples, teens with sexual purity issues, and individuals with spiritual distress. • Therapy for individuals, couples, children, and families. • Skill development in communication, coping, and establishing/maintaining boundaries.